Have you ever seen a 3-year old boy opening an app on the tablet intuitively? They say that kids are really smart these days. They say that these are indigo kids. In reality, it’s the efforts of the team of experienced UI/UX experts who work closely with developers making this app appealing & intuitive. 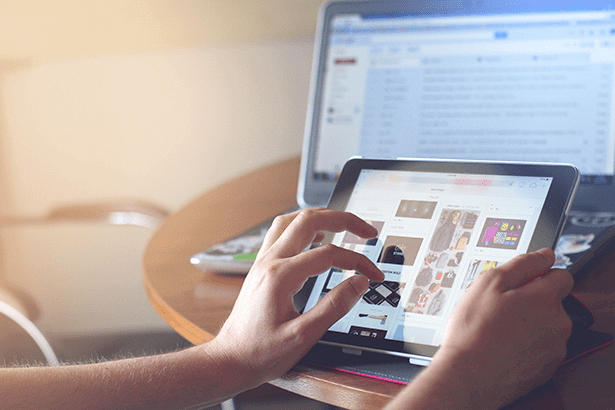 As the world becomes more digitized, the demand for IT software products, such as mobile apps, websites, information tools etc., increases at a rapid pace. But people don’t need web and mobile applications today, they need easy to use and effective applications with immaculate UI/UX. But good UI/UX design is a luxury for many companies today that is why it is more cost effective to outsource it. UI/UX HAS A PARAMOUNT IMPORTANCE. BUT CAN YOU OUTSOURCE UI/UX? A growing number of companies decide to entrust the whole developing process to professional outsourcing teams in order to reduce cost, minimize risks, and achieve higher efficiency. UI/UX design can also be outsourced. More than that, it’s vital for UI/UX team to work closely with developers to have the immaculate design. With the help of UI/UX designers, the client works out a blueprint of the required product and then hands it over to an outsourcing company, which afterward creates the final product. According to The State of Software Development 2018 report by Coding Sans Ltd., over 52% of IT using companies worldwide, have turned to outsourcing. And it’s always a good solution because UI/UX design outsourcing is an investment. It’s the chance for a product company to reduce costs, concentrate on the core competencies, enable rapid business change, enhancement. And get immaculate UI/UX design in the end. WHAT IS UI/UX DESIGN & UI DEVELOPMENT? 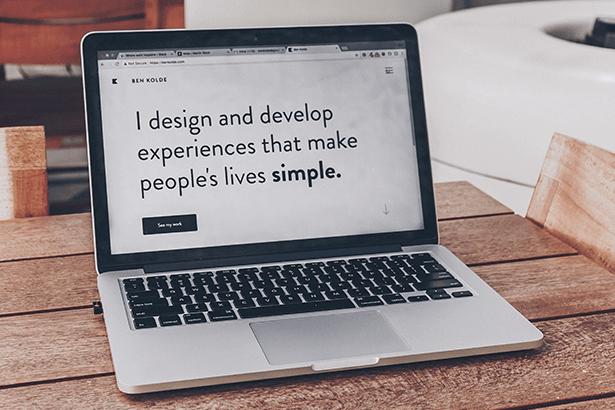 According to a study by Forrester Research, a well-designed user interface increases a website’s conversion rate by up to 200%, and a good UX design brings conversion rate up to 400%. It’s true in case of good UI/UX. Good User Experience (UX) design is the designing process of software product interfaces focused on the end user’s perception of the product. The UX designer’s main goal is to ensure convenience, usability and logical flow of the information within the application. According to Forbes, high-quality UX is a key factor showing how companies run a business. Good User Interface (UI) design is the designing process of software product interfaces aimed at efficient interaction between the user and the machine. Essentially, it encompasses all the controls, buttons and elements of the application creating a visual appearance of the product. BUT WHY DOES EFFECTIVE UI/UX MATTER SO MUCH FOR SOFTWARE INDUSTRY? Creating software products developers often forget that they need to make them usable for clients in the first turn. Not for themselves. How to make sure that UI/UX design for software development will hit the target? It’s important to follow the essential steps of the process. 1. The process of creating a software product usually starts with a visual design conducted by a graphic designer – it illustrates the idea of what the product must look. 2. 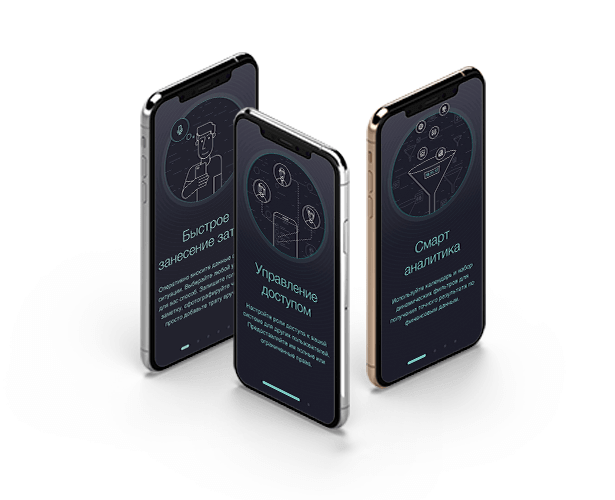 Next step is to define the way the product operates, and that is the task of the UX designer, who is guided by the aforementioned graphic designer. His/her main responsibilities include conducting user research, information and interaction design (operation specification of a software), primarily focusing on the product’s functionality and usability. 3. After that a UI designer compliments it, making it look and respond to the user needs. He also works on visual and interaction design and is additionally involved in front-end development, which primarily implies designing guidelines for UI developers. It can be said that UI is an inseparable part of UX and both of them are often referred to as UI/UX design, as they go side by side in designing the product. 4. 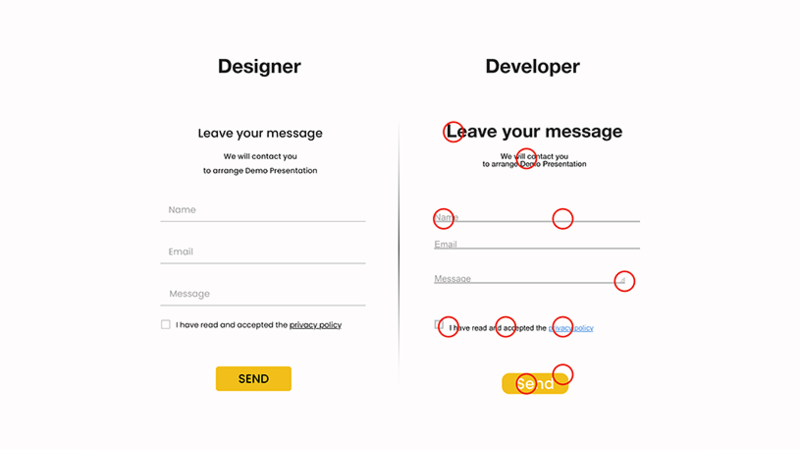 During the last stage, the output of UI/UX designers is implemented in the final product by a UI developer, who works in close touch with a UI/UX designer and deals only with front-end and back-end development. Let’s get back to UI/UX Outsourcing. What is the difference between an outsourcing company and a product company? Outsourcing refers to having some work performed by a third-party company and is aimed at saving costs, getting higher efficiency and accuracy, while a product company implies in-house development, focused on creating the product independently, without seeking assistance. In terms of UI/UX, outsourcing has obvious benefits compared to in-house UI/UX development. The main advantage of such a company is that it is able to tune the product’s lifetime from graphic design to UI development, constantly changing and improving the product. However, due to a higher level of complexity, cost intensiveness and time consumption, it puts pressure on companies to develop their own products, therefore it is common practice today to outsource only UI development, which limits the scope of tasks delegated to the outsourcing company. DO OUTSOURCING COMPANIES NEED UI/UX? The answer is “yes!”Firstly, it allows creating a complete product as the UI/UX designers and UI developers are able to work together, constantly amending and improving the product. Generally, designers have little knowledge of the product’s development while developers have no deep understanding of the design as they specialize in different fields. Therefore it is only their collaboration that can ensure the performance of the whole life cycle of the product and establish expertise, allowing to make products more convenient, user-friendly and compliant to clients’ needs. However, working out an effective UI/UX design requires broad specialization, takes a lot of time and is costly. Therefore, it is believed to be more practical to outsource both – UI/UX design and UI development. Here are several cases of effective UI/UX outsourcing from Softengi. 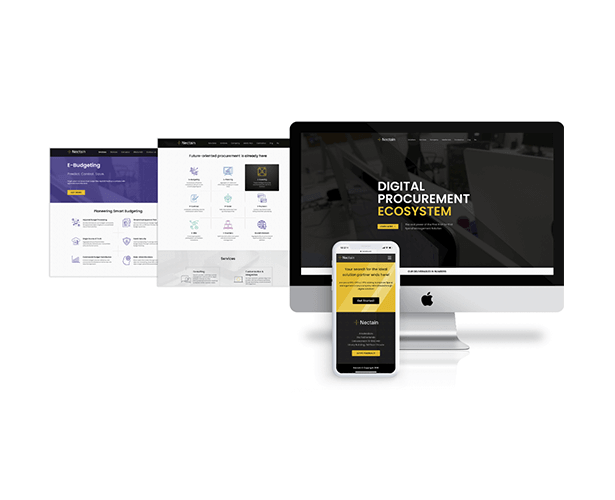 Here is the case of Nectain, a modern procurement ecosystem and a management solution for retailers. 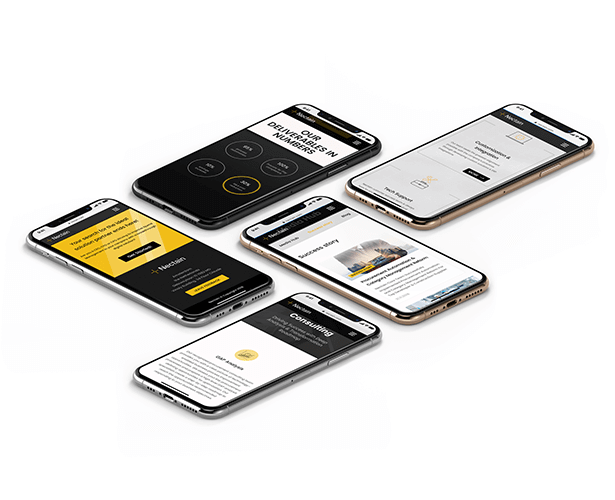 Softengi created a corporate multi-module website with numerous solutions and a unique concept identity for each of them using UI/UX outsourcing. With the help of outsourced UI/UX designers, Nectain developed the concept of visual positioning of Nectain on the market, established the brand identity of the company, including banners, posters, pallets, schemes, business cards, SMM materials, presentations. The carried out adaptation of the UI to users’ needs made it more client-oriented and comfortable. Before a release, a team of UI/UX designers conducted research to find out why people uninstall mobile apps soon after using them. Research is a vital part of any good design. Softengi offered alternative methods of data input and fast access to it, as well as elaborated a number of effective features and workflows to keep the user engaged. Gamification of the app was meant to make customers’ experience more entertaining and improve the level of engagement. COSTS, a convenient, easy to operate Softengi developed mobile app for families and self-employed people, entrepreneurs, housewives or individuals, was used to create several themes and develop unique sets of stylish icons. To prevent any flaws, a UX test was conducted during each iteration. Creation of a digital product that connects business goals to user needs is an extremely complex task. To be able to produce an efficient software product, UI/UX designers must work side by side with developers, complementing each other in the developing process. Such collaboration within an outsourcing company brings significant benefits both for the client and the developing company. So when you see a kid playing with a mobile app as if he is playing with a toy think about all the work UI/UX designers do to make complex things exceptionally simple. “Good design is good business” according to the former president of IBM, Thomas J. Watson. Impossible to disagree.